As we reported last week, Verizon entered into an agreement with Cox Communications to obtain its 20 MHz AWS spectrum license for $315 million dollars. 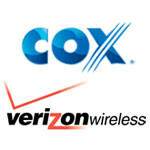 Verizon and Cox also entered into an agreement to offer each other’s services to their respective customers. It has since been reported that the U.S. Department of Justice is reviewing the deal for potential anti-trust violations. DoJ spokeswoman Gina Talamona confirmed the examination, but refused to elaborate further. It should be noted that regulatory review of spectrum purchases of this magnitude are not in and of themselves unusual. Speaking to Bloomberg, consumer advocacy researcher Mark Cooper claimed that the deal “diminishes competition in every way”. Cooper specifically cited concern about the further concentration of spectrum into fewer hands, as well as the anti-competitive impact of removing competition between companies like Cox and Verizon. Verizon spokesman Ed McFadden characterized the purchase as a standard secondary market spectrum sale, and indicated that Verizon submitted its public interest statement discussing the purchase to the FCC on Friday. In response to concerns about competition, McFadden stated that the spectrum being purchased had been under-utilized for six years, and that its acquisition will let Verizon serve the increasing 4G bandwidth demands of its customers. He added that in some markets the deal may actually increase competition, as cable companies will gain the ability to bundle wireless and cable services together to more effectively compete against carriers with similar offerings. Verizon hopes to conclude the transaction sometime in mid-2012, allowing them to start utilizing the spectrum in their network by the end of 2013. Because after all, we know that Cox and Comcast are actively using that spectrum to provide great services. Oh wait ... There's an issue with spectrum in this country. If the gov't wants to promote competition, then license more spectrum out to more carriers so we're not in a crunch. It makes things better for everyone, and can improve competition with competition on the merits of the services provided. Verizon is doing this so that they can Block everyone else from expanding outward. They thought they could sneak this in while everyone else was looking at the ATTTmobile deal. I dont have a problem with them buying spectrum, but what about all the unused spectrum they already have? The Gov needs to get the spectrum thing in order. Verizon isn't blocking companies from expanding outward. The government is. As time goes on, carriers are going to need more spectrum. I don't blame Verizon for trying to get themselves into a better situation for the future. If other carriers wanted the spectrum, they were free to try to cut a deal to buy it. Either they didn't or Verizon offered them a better deal. AT&T was too busy trying to shut down the competition thru a buyout, Verizon is buying spectrum. I think Verizon has their head on straight. I don't think AT&T was as much concerned about eliminating competition as it wanted T-Mo's spectrum and infrastructure badly. While I'm sure AT&T would have preferred customers remain with them instead of going elsewhere, I think as long as they got T-Mobile's resources they would have been ok with customers going elsewhere. Think about it. You have a competitor with a lot of spectrum and largely compatible infrastructure that meshes well with theirs. It would have been relatively trivial to redeploy and upgrade their network - probably much more so than investing it in on their own. Spectrum is gold. Carriers pay billions for slices of it at auction. They try to get as much as they can because it's scarce. And that's what AT&T was really after as they're pressed for it. If AT&T could just go get some more from the FCC, I doubt there would have been much of a need to try to buy T-Mobile. However, since the government tightly controls spectrum, and it's infrequently released, it's not like AT&T can just go get more if it needs it. The resource is finite, so what's really their only source left? Get it from a competitor. Either buy it from them to take one over. Some companies that bought spectrum don't have much use for it and are willing to sell it off, like Verizon buying from Cox. Cox still gets access to it and they came to a mutually beneficial deal. A direct competitor isn't likely to sell off what they have as they're using it, so if they go that route, well, takeover is the only real option. We'd have more competition if the FCC loosened its grip. As I said in the other posts, providing access to spectrum and making it less scarce and less costly would go a lot further than the crap the government's pulling. If a carrier needs more, they can buy more. But since they can't, well, we get stuck with crappier networks and pay the price for it in both quality and cost. Considering that spectrum is publically owned, I have no less a problem with this move than I did with the AT&T/ Tmobile merge. This is just bad for consumers. We will all pay dearly if these two carriers control all the prime lakefront property. I'm also tired of carriers claiming it will increase competiton. All the choices in the world don't help if the spectrum they are purchasing for resale comes from the sources that control it. John B. Do you have any proof that it won't? Government is artificially limiting a resource that it can license out for use. Carriers pay big bucks for their use. By limiting a resource, it makes it harder and more expensive to use. The carriers keep their rates higher to justify the billions they shell out for the licenses. Open it up. It would allow smaller carriers to have more access to spectrum and actually buy it because they're not fighting over the scraps the big 4 don't want. The small carriers wouldn't have to be smaller as they could get what they needed much more easily. Not only that, it could allow the likes of AT&T to better their network and give T-Mobile more mainstream frequencies than the oddball AWS slices they have. If you want the market to work, you gotta unjam some of the obstacles keeping it from working. "Protecting" consumers by keeping a resource scarce does just the opposite - it makes the situation worse for everyone. Excellent point. This is about economics and the government's 'visible' hand controlling the market - plain and simple. ---- "If you want the market to work, you gotta unjam some of the obstacles keeping it from working. "Protecting" consumers by keeping a resource scarce does just the opposite"---- With very little regulations in this industry, one or two carriers purchasing what's left of the spectrum, does the same thing....Yes? No? I'm not fine with two major private sector carriers controlling a vast majority of publically owned spectrum without regimented regulations. I don't feel like having our telecommunications ending up like our utilities. Government may not be percieved as all good, but in this case of a consumer balanced outlook, I favor the steps that it is taking over the Ma Bells duking it out over spectrum holdings. Nothing good will come out of this. Verizon is the other rich child looking to dominate. Don't be fooled by the smooth talk of VZW. Their approach is more eloquent than AT&T's, yet destined to fulfill the same goal. The Government is looking to and will release more spectrum, but in the end, who would be the likely purchasers of this spectrum? I can take a guess. John B. This country is due for a technological revolution. There is so much money in research, development, manufacturing, maintaining and advancing of technology. (Shoot how many jobs would manufacturing a slim longer lasting cellphone battery provide?) Why the government doesn't see that is rediculous. Even the laws and regulations need to be revamped. Uncle sam fell asleep in his recliner. Time to get moving. Please stop, if you think verizon is any different than att, your fools. Like crooked politicians, they have lunch behind the scenes. Att done it one way, Verizon is doing it another way. Don't be a fool and put your blind faith in a major corporation like that. U just fall for what ever Verizon says. Typical american, put it out there enough with what ever golden boy it is and wow, please fool us the more. Look, Verizon is a big corporation who wants to take over like most other corporations who are greedy and cares nothing about you. Please don't be sooooooooo naive. What, and government is the great savior protecting us? Typical European type tripe - big government knows best. Do you really think government cares about its people? No, it just consolidates more power to itself. Only it's much more capable of doing it and enforcing it than any corporation is. No, I hate big government. Little do you realize, Government and Corporation work together in so many ways. They're in each others pocket. It's not that they're protecting us, it's that what's good for the goose is good for the gander. And you talk about consolidation, wake up and see who owns what and know that the wireless industry is doing the same thing. Don't be so devoted . And after living in Europe and New Zealand for a while, let me tell you; I was more free over and down there than I was here. What's so bad about it is America keeps us so busy with foolishness and media, the world knows more about what's really going here and behind the scenes than we do; sorry, most americans rather. It's not the same free America it was 30 years, shoot, 12 years ago.